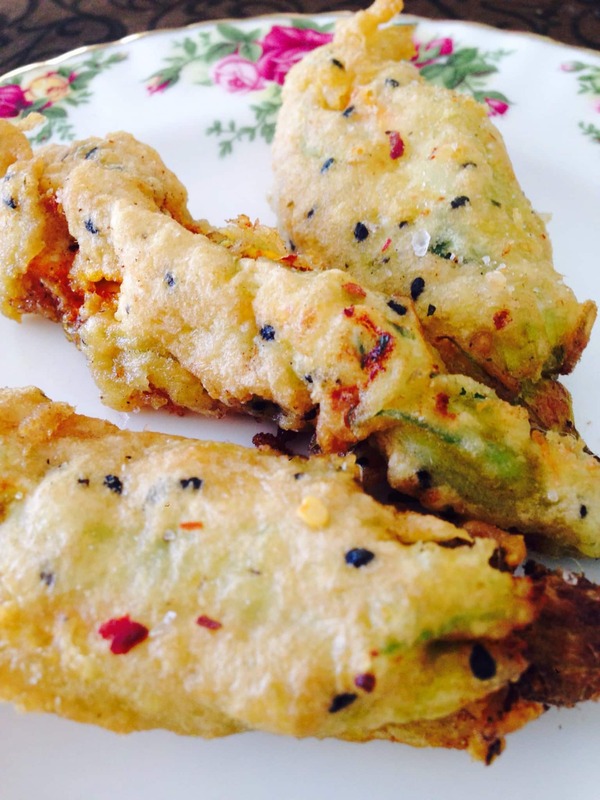 Ricotta Stuffed Zucchini Flowers in Sesame Tempura Batter. 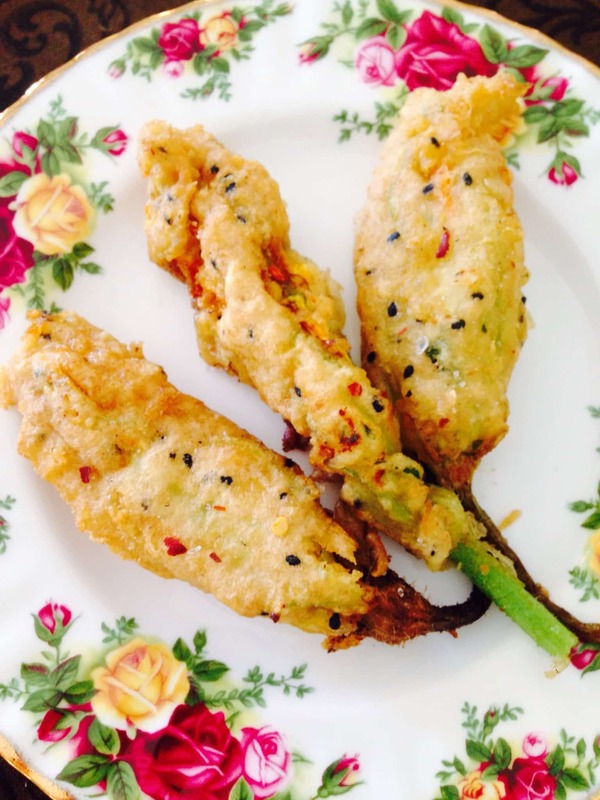 I was given a beautiful bag of Zucchini flowers by George and I wanted to make something special with them. I had decided I wanted to stuff them and deep fry them but I also wanted it to remain a vegetarian dish and Italian in influence. Olive oil for deep frying, about 300mls. In a small bowl mix the ricotta, parmesan, parsley, basil, salt and pepper. 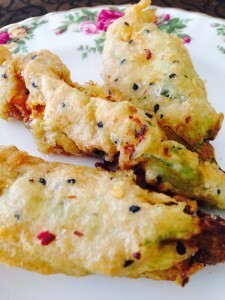 Prepare the zucchini flowers. Do not wash them. 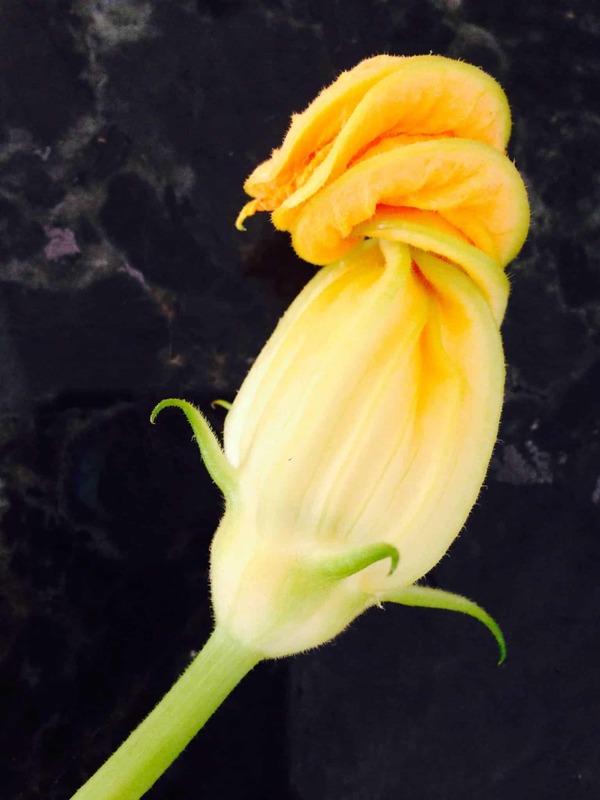 Carefully make a longitudinal slit in the flower to the base, try not to tear. Remove the stamen inside. Just pinch it out. Put a heaped teaspoon of filling in each flower then cover the filling by straightening out the petals. It doesn’t have to be perfect, just make sure as much of the cheese filling is covered as possible by the petals. Dust each filled flower in cornflour. Prepare a wok or deep fryer or saucepan for frying on medium heat. Make the batter. In the small bowl put the egg yolk, and dry ingredients. 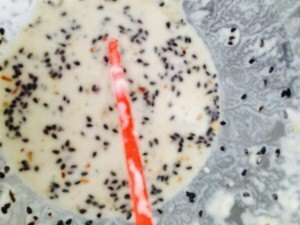 Do not add the sparkling mineral water yet. Put the ice in the bottom of the large bowl with a little water. Set the small bowl into the large bowl on top of the ice and water. 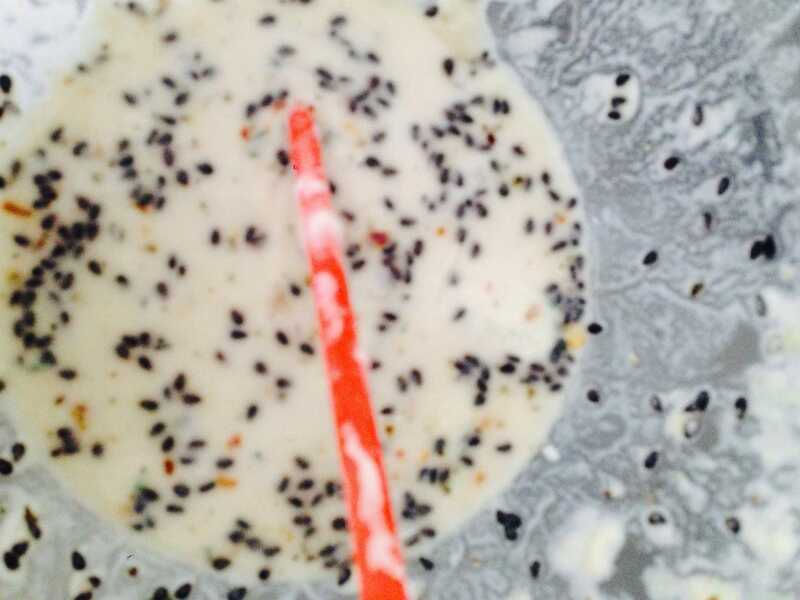 When the oil is hot add the mineral water to the batter mix. Stir with the chop stick. 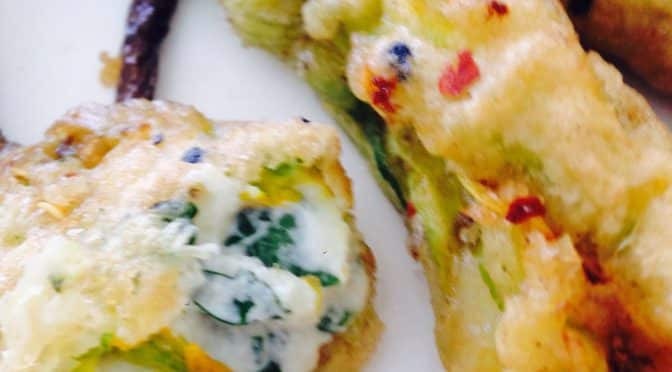 It should be a bit runny, don’t over mix, a bit lumpy is ok. Dip the zucchini flowers in the cold batter let drip a little then drop into oil, 2 at a time. Turn over after about 1 minute to cook the other side. Leave another minute then remove. Serve them immediately with some extra salt sprinkled on the top.